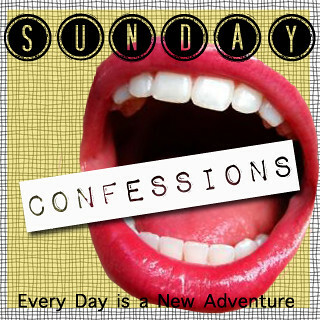 I'm sure I've lost most of you, since I have been a HUGE slacker lately when it comes to doing Sunday Confessions. Anyway, if you are here and want to participate, grab a button, write up some juicy confessions, and share them with the world. If you're not too chicken. 1. I have a baby product giveaway entering problem. One for which I should probably go to rehab. But, in the words of the late Amy Winehouse, "They tried to make me go to rehab but I said 'no, no, no.'" 2. I just found 2 thank you notes in my purse that I *thought* I sent. So... if you're Kristen or Sara, I'm sorry... I'll mail these things ASAP. 3. 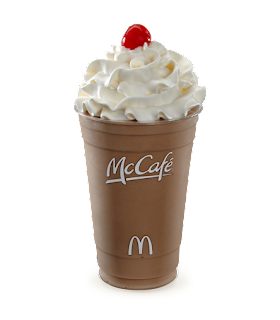 I can down a small chocolate shake from McDonald's in about 0.03 seconds. I don't know if I should be impressed or disgusted with myself (yes, I'm aware of the amount of calories, sugar, and fat in that crap, and I know it's nasty). 4. I frequently daydream about the clothes I will wear once I've given birth. It's a little pathetic how excited I am to have my closet back. 5. I also dream about working out again. So. Flipping. Excited. What do you have to confess? Link up below. Ummm that chocolate cake looks GOOD! k so that chocolate shake sounds wonderful. And I can imagine giving up 95% of your wardrobe is so hard, I'd hate it!!! i think it's the whipped cream on top that looks so inviting! YUM. I remember day dreaming about working out! Now, I dread it. Ha ha! And just know... it's great to have your wardrobe back but it will take a few months before you love it again. Something about that post baby body that just isn't the same ;) But give it time... it gets better every day! I confess that I'm starting to give up on job searching. I can't find anything. Yum milk shakes!!! I'm on a smoothie kick lately... Which is slightly more healthy I guess, but not as easily accessible. haha. He's Good at Taking Pictures. Check that one off the List!